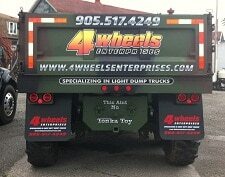 Welcome to 4 Wheels Truck Sales! 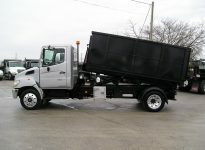 Here at 4 Wheels Enterprises we specialize in light and medium duty dump trucks for all your needs. 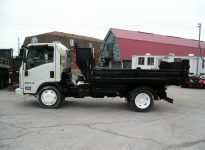 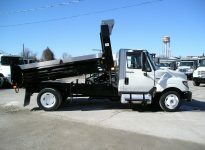 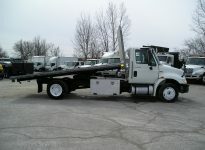 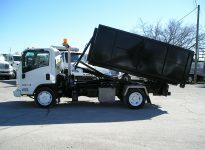 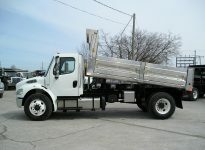 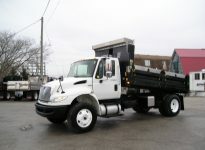 Whether you require a dump truck, flat bed, dumping flat bed , cube/box truck application, reefer truck, tilt-n-load, hook lift, expedite truck, service body truck, cab/chassis, tow truck application, crane mounted body, frame shortening or any other type of application, we can accomadate your needs with anything from one tonne to 5 tonne. 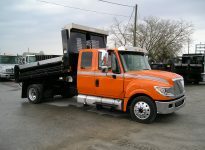 Our knowledged and resource based staff are here to help you every step of the way. 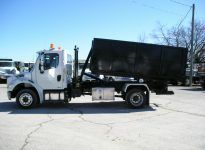 If you have any questions or concerns please feel free to contact us. 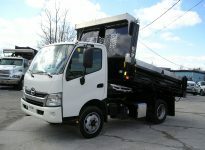 We look forward to doing future business with you and your company.